I absolutely love podcasts. I'm a little late to the party but let me just say I don't know how I made it through the day without these awesome people behind the mic. I first started listening to Joanna Penn's podcast, The Creative Penn earlier in the year after I read an article she wrote about lessons she learned after 1 year as a full-time author. It inspired me so much and I've been hooked ever since. If you are a writer looking to make the transition from full-time employee to freelance writer I would suggest you give her podcast a listen as well as check out her free 97 page e-book called Author 2.0 blueprint. Yes it's 97 pages. There's no filler- just facts. You'll get a great back story on Joanna along with the basics of being an author, tips on writing, self publishing and book marketing. Her site is loaded with free resources but specifically, her podcasts always have very knowledgeable guests who share industry tips to help make you a better writer, and help you better navigate this industry. I definitely recommend it. More recently a good friend of my husband suggested we check out the Flipped Lifestyle Podcast. This same good friend had recently launched his own digital product that generated over 5 figures of income in less than 24 hours. Amazing!! Well the hosts of this podcast, Shane and Jocelyn, totally helped him achieve his goal. If I wasn't already impressed by our friend's crazy success, once I listened to the podcast I was taken aback by the quality of information and the genuineness of the hosts. By far my favorite episode is FL 44 - How to Create a Sales Funnel Template for Your Online Business. This episode goes into extreme detail on what a Sales Funnel is and how to create one for your business. They break it down so that it makes sense and it can be easily applied to one's business. I absolutely love their motto which is, "Life always comes before Work". That motto is "flipped" in contrast to the motto our society perpetuates, where work comes before life. It's refreshing to hear people discuss the importance of enjoying life versus climbing the corporate ladder. Trust me, they believe in making money- but they also believe in spending more time with family and the things that matter most. 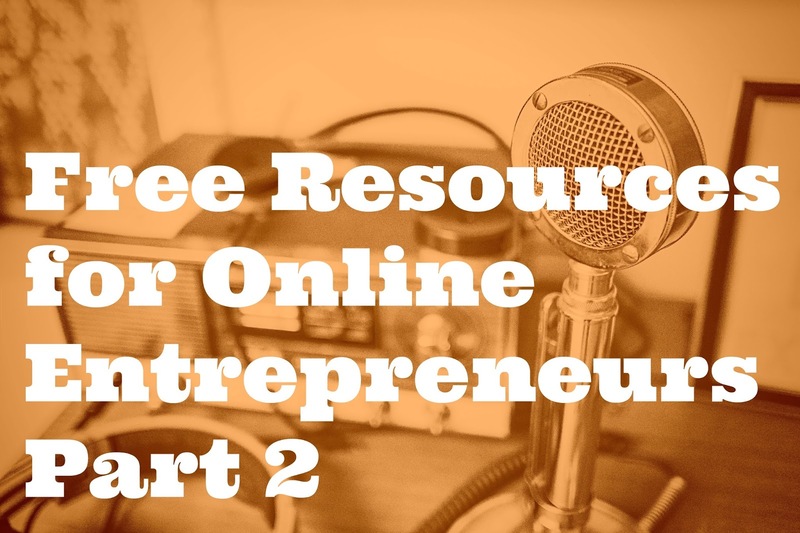 In addition to the podcast, their site is packed with tons of free resources to aid you growing your online business. So check it out! Last but definitely not least, is the Tim Ferriss Show. My personal trainer actually told me about this podcast and I immediately fell in love with it. The first episode I listened to was on how to build an audience from scratch and let me just say: this guy knows his stuff. I think I may have quoted him to my friend more than anyone else in the last week. Tim's podcast is one of his many products and has ranked #1 of all podcasts on Itunes numerous times. His TV show, The Tim Ferriss Experiment is rated #1 on Itunes not to mention his popular book "The 4-Hour Work Week: Escape the 9-5, Live Anywhere, and Join the New Rich". His resume is extensive, with a variety of accomplishments ranging from "National Chinese kickboxing champion" to "First American in history to hold a Guinness World Record in tango". It goes without saying that the man is accomplished but aside from that, he consistently produces a quality show with free resources to help people like you and I build and grow our online businesses. I enjoy the podcast because of the nuggets that Tim and his guests share that I normally wouldn't be privy to because of my limited network. Be sure to check out his site as well as for even more free resources. I hope you have enjoyed this 2 part series on "Free Resources for Online Entrepreneurs" if you found any of this information helpful please leave me a comment and thanks for reading!